In the call center industry, it is a regular thing that a big player acquires a smaller player to consolidate their portfolio. However, whenever it happens it makes news that most people want to know about or get acquainted with the dealings that have happened between the two players. It is always a question of what comes out of the deal that decides how interested a big player would be to acquire a competition. In the past year, several companies in the call center industry such as RingCentral, Vonage, Twilio, Vector Capital, LivePerson have gone for acquisition with promising dealings. Let’s look at these acquisitions in detail and understand how they are affecting the call center industry today. Ring Central is one of the biggest players that has earned a good name in the call center industry. In the process of expansion, RingCentral has acquired the Connect First and they have made it clear that they aim to enhance the outbound calling process as RingCentral has already been a renowned service provider for inbound call centers. As per the resources, Connect First is very positive about joining hands with RingCentral and they are expecting to outreach the market with better strength. RingCentral is looking forward to enhancing its portfolio with better customer engagement and differentiated customer experience. Aspect Software has been there in the call center industry for very long and the news of their acquisition was a shocker to many. It was announced in the month of January 2019 that Vector Capital is going to acquire them after investing more than $100 million of equity capital in Aspect’s business. Vector Capital is a leading private equity firm specialized in transformational investments. It actively partners with various management teams to devise and execute new financial and business strategies. As per the published news, Aspect has claimed that this is a strategic transformation and it will continue to work on its growth plan and refine their go-forward strategy. In the month of November 2018, Twilio a platform that provides various communication solutions announced that they are going to acquire the API-centric email platform SendGrid for about $2 billion in an all-stock transaction. As per the published news on TechCrunch, the main focus of the acquisition is to improve customer engagement. Twilio has been mostly into delivering the omnichannel communication platform and acquiring an email service provider will give an edge to their solutions. SendGrid will become a totally owned subsidiary of Twilio from now onwards. ConvergeOne has announced that they are acquiring Advantel networks. They have shown their clear intentions to increase their customer base. ConvergeOne that went public in the year 2017 has quoted this acquisition as finding a strategic resource. Whereas, Advantel that was founded in the year 1984 and based in San Jose, California has been a well-known service provider of collaboration solutions and some meaningful services like security, data storage, and virtualization. Other services also include unified communication and cloud-based contact centers. As per the published news, the acquisition has given a new name to the company, now they will be known as ‘Advantel, a ConvergeOne Company’. LivePerson was founded in the year 1990 and they have had a rich clientele with some of the big names like Home Depot, Citibank and IBM. But in recent years, they have risen as a third-party platform for well-known messaging apps such as Facebook Messenger, WhatsApp, Google RCS, and Apple Business Chat. Facebook has named both the companies LivePerson and Conversable as the backbone of their messenger platform. 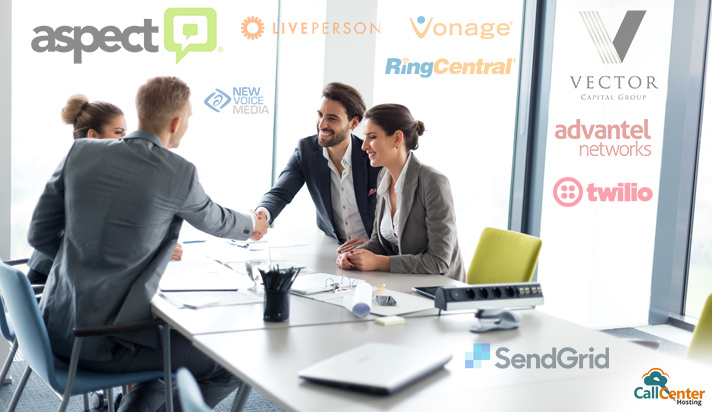 According to VentreBeat, with this acquisition, Conversable is going to help LivePerson in upgrading those communication solutions for better commercial purposes. Vonage has been a big name amongst the major cloud-based communication solution providers. Vonage has acquired NewVoiceMedia for $350 billion. NewVoiceMedia is a UK based Startup that is into cloud-based call centers. Vonage has claimed this acquisition as a strategic vision forward to deliver some differentiated, fully programmed communication solution with result-oriented business communications. As per the news on TechCrunch, NewVoiceMedia already has clients like Adobe, Siemens, Time Inc. and Rapid7. Every acquisition has its own reason and all most every company looks for growth. However, only time can tell what lies ahead for these partnerships. 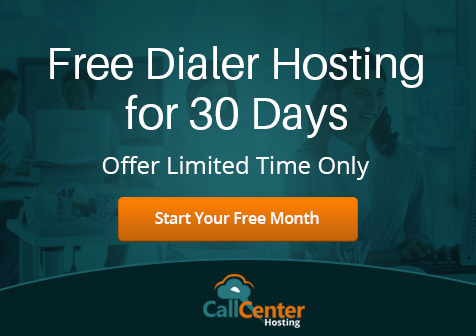 To receive such useful and helpful content directly in your inbox, please subscribe to CallCenterHosting weekly newsletter. You can also find us on social media such as Twitter, Facebook, and LinkedIn to get the latest news, insights and best practices in call center industry. Vipul Srivastav is a Digital Marketing Strategist at CallCenterHosting. Clouds have always fascinated him. For the same reason he loves to explore and share his understanding and ideas related to cloud-based innovations. He writes about contemporary subjects as well. Auto Dialer Vs Predictive Dialer: What’s the Difference? How to Conduct a Successful Call Center Audit? Predictive Dialers vs Progressive Dialers: What’s the Difference?